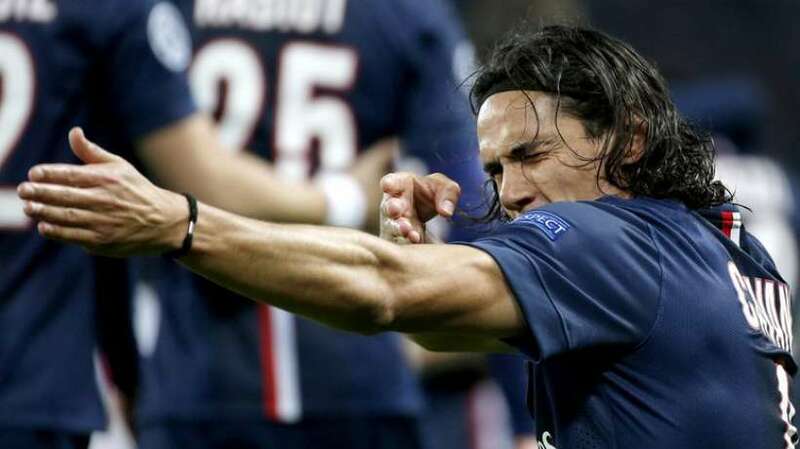 Edinson Cavani : On Target ! The Parisians left the ball to the Dutch (55/45 possession) and took advantage of the spaces left by their high line. Were they the best team on the pitch? No! Ajax’s team was a bunch of young talented players , but lacking experience and it showed. Paris exploited their mistakes and won thanks to their attacking duo, Zlatan Ibrahimovic (79th) and Edinson Cavani (33rd- 83rd) D. Klaassen’s goal (67th) didn’t change the game. Nevertheless, Aiax’s defeat didn’t hide PSG’s poor game; even Laurent Blanc, Paris Manager, agreed that the Dutch were the better team, on the pitch. Next CL fixture for the Parisians, will be the clash against Barcelona and Messi’s extraordinary records; if Paris play as they did versus Ajax, the Catalans will have a field day! The Argentinian, is reaching a new dimension; after several months, years even,(since his record sign of 42M Euros), of rare good performances, he’s now one of the top Parisians players. Very active in the midfield,it was he, who set the pace of the game.Decisive too, after a perfect assist for Zlatan’s goal. A quiet evening for the Italian goalkeeper; abandoned for the goal conceded by his defense, his interventions were fluid and calm. He avoided a red card, early in the game; interesting offensively, less defensively, he produced some good forward passes. Good game for the former Chelsea man; one of his best, till now. Accurate, he bossed his part of the pitch and showed remarkable technical ability. One black point though; his incredible lax, marking Klaassen on the equaliser. Great game from the young Brazilian; good in recovery, he multiplied the good interventions on several dangerous balls.Good tackling and good behaviour on offensive set pieces. Minimum display , average interventions, some good tackles. Banned from the team since the start of the season, because he refused to re sign, his brand new contract opened the team’s door. He lost a lot of balls and it’s plain to see that he lacks playing time. Good work from the Uruguayan striker; very active, good in ball’s conservation and in defense, scored an important brace. The Parisians supporters had to wait at least for 25 minutes, before their Swedish star, came alive and show that after a long absence, he’s back ! He’s still able to change the course of a match but lacks playing time. What an extraordinary goal ! Good, solid game ; missed a great chance (23rd) but provided good defense and an assist to Cavani’s first goal.